With over 240 pages, this year’s Marketing Management Book of the Year is a must read for any marketer grappling with the fast-paced environment of today’s marketing. 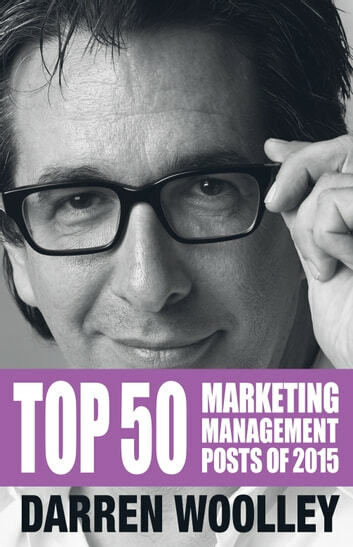 2015 is a third year in a row that TrinityP3 has published the Top 50 Marketing Management Posts and it continues to grow in popularity and prominence amongst the marketing, procurement and advertising industry. But what is the marketing industry saying about Top 50 Marketing Management Posts 2015? 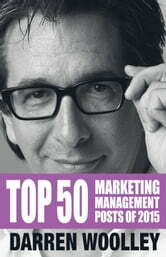 Darren Woolley's Top 50 Marketing Management Post of the Year is a remarkable mosaic of must-read articles and expert opinions that will open your mind, offer new perspectives and challenge you in the process. Darren's strength is that he always acknowledges the elephant in the room. In so doing, he provides vibrant, provocative, action-oriented ideas, alternatives, solutions and thought leadership on the expanding remit that is marketing. If change is the constant Darren's posts are a valuable tool for currency and content for today's marketers. Essential Viral Marketing Tips & Strategies For 2016 And Beyond!